Benjamin Stalter has Commercial Sales and Leasing experience in retail, office, land, multi-family and investment transactions. He joined Maestri-Murrell in October 2007 as Vice President of Commercial Real Estate and Partner of the company where he oversees client relationships, coordinating team members, and acquiring new business relationships for the company. Prior to joining Maestri-Murrell, Stalter started in commercial real estate as a Sales and Leasing Executive at Stirling Properties. He later joined Prudential Gardner Realtors where he served as the Commercial Accounts Manager for the company. Mr. Stalter served on the Board of Directors for the Baton Rouge Board of REALTORS® Commercial Investment Division from 2004-2010 and was President 2008-2009. Ben is also a member of Redstick Leaders of Baton Rouge and is a CCIM Designee. In 2009, Ben served as the Chairman for the Baton Rouge Trends in Real Estate Seminar put on by The Greater Baton Rouge Association of REALTORS® and The LSU Real Estate Institute. Mr. Stalter served on the Board of Directors for the Louisiana REALTORS® in 2012. In 2013 Ben was named to the Baton Rouge Business Report’s “Top Forty Under 40” saluting the capital region’s rising stars in business. Additionally, Mr. Stalter was selected and graduated from the 2016 class of Louisiana REALTORS® LR Leadership development program which brings the top REALTORS® from Louisiana together for collaboration and individual growth. Mr. Stalter graduated from Louisiana State University in May 2001 with a Bachelor of Science degree in Finance. While at LSU, he was a member of two national honor societies and a social fraternity. 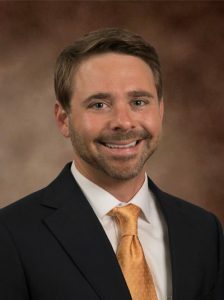 During the Spring of 2001, Mr. Stalter founded the LSU Sports Law and Business Association and served as President.